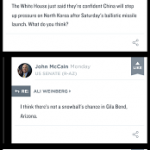 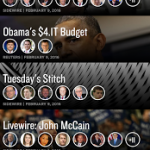 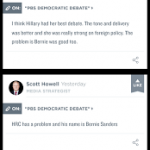 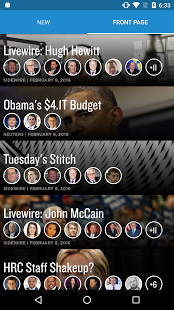 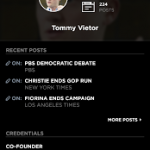 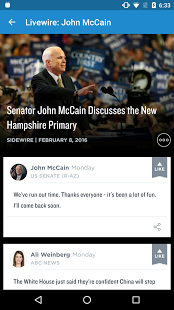 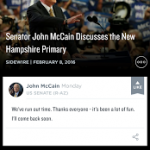 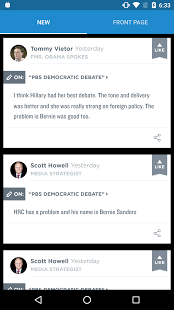 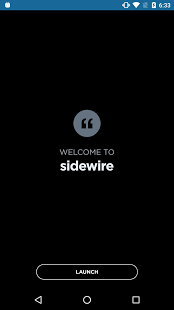 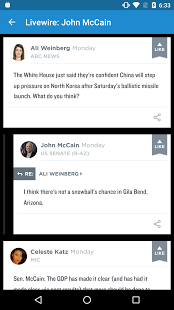 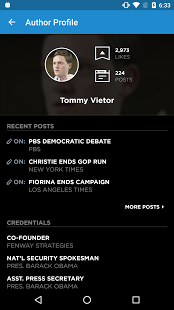 Sidewire cuts through the noise to help you easily find the most important American political news and what insiders are saying about it.Instead of relying on social networks and piles of content to understand the day’s political news, quickly read trending news and valuable insights from the community of insiders working in the news cycle. 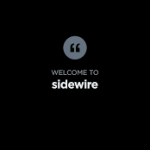 Sidewire has crowdsourced a growing and organic community of newsmakers, from both sides of the aisle, who work directly with political news coverage. 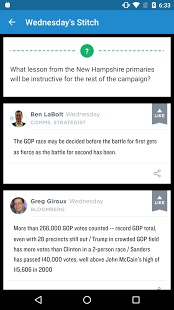 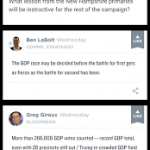 This community of newsmakers includes journalists, leading campaign staff, presidential candidates, elected officials and political experts, all sharing their insight around the day’s political and election news coverage. 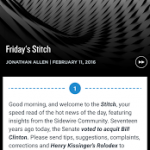 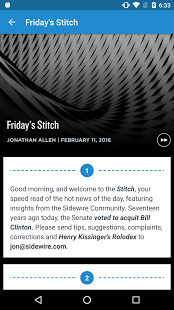 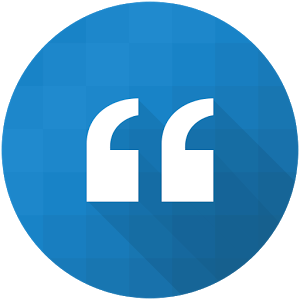 • Read the Stitch, interactive content that showcases insights from the Sidewire community.